Acne is a skin condition that affects people irrespective of age and even with a lot of skincare products on offer within a beauty marketplace, there are still few that offer non-invasive solutions without the long-term side effects, like increased sensitivity. 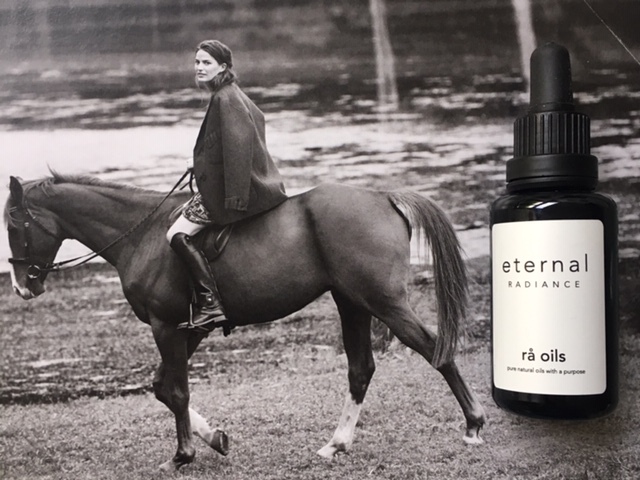 Frida Jonsdottir, founder of Icelandic natural skincare brand Ra Oils, which she created with her mum, is particularly passionate about this subject, as the brand and products were the result of her own long & painful journey towards happier and healthier skin. Reviewing two of the products turned into my own discovery of how emotionally debilitating this skin condition is and while I don’t have acne myself, I wrote this post with plenty of insight from Frida, which I hope will be useful to you, if you suffer from acne and so far hasn’t managed to get in under control or are still trying to find a more natural & long-term solution. As someone who has been blessed with good skin genes, I count my blessings, but like any woman I can’t help, but notice the changes in the skin as I get older. I also look after the skin of my own children and am often asked for skincare recommendations by friends and colleagues because of what I do. I have always been interested in natural skincare and have appreciated women, who clearly look after their skin first and foremost, using the make-up not to hide their ‘flaws’, but rather enhance the features they love best about their faces. Having said that, I am often visually scanning the skin of the people who work in beauty and wellness industry, as I interview or talk to them, and compare it with mine, as well as women I see around me. We are so diverse and so is our skin, yet even with the overwhelming amount of skincare and treatments at our disposal now, few have truly healthy skin that looks radiant. More and more women (and men) notice changes in their skin due to city living, stress and lifestyle. Sometimes our skincare choices, as well as they way we use products (too much and too many changes aren’t good for your skin; it’s also not unusual nowadays to hear about teen & grown-up skincare routines that involve upwards of ten steps), so exploring the subject of acne and using two of Ra Oils products allowed me to learn and ponder my own skincare choices, habits and routine. 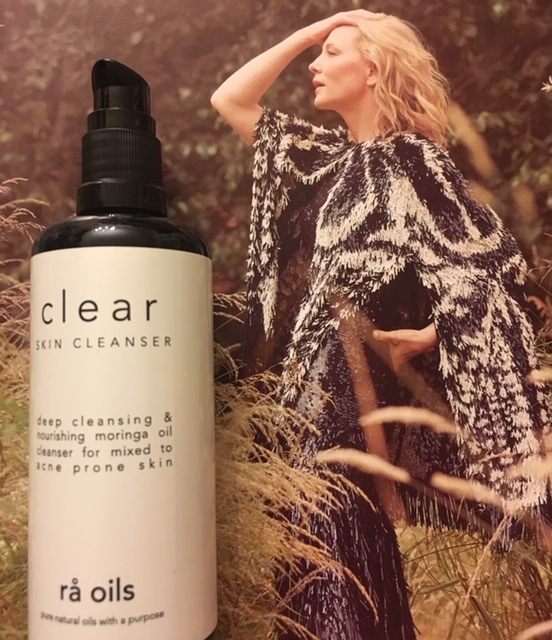 Ra Oils Clear Skin Cleanser, 100ml, £42 or 200ml £68. Vegan friendly. Hand-blended. Recyclable packaging. Best used within 12 months of opening. 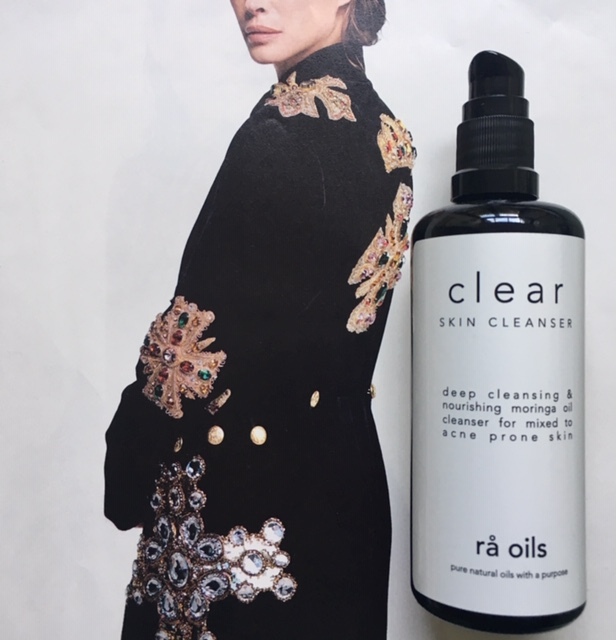 This cleanser promises to ‘deeply cleanse and balance the skin, helping to treat and prevent breakouts’. Developed for mixed to acne prone skin, this cleanser also works well for normal and combination skin. It can also be used around the eye area, but it is advisable to try a small amount first, to see if irritation, especially if you have sensitive eyes, occurs. 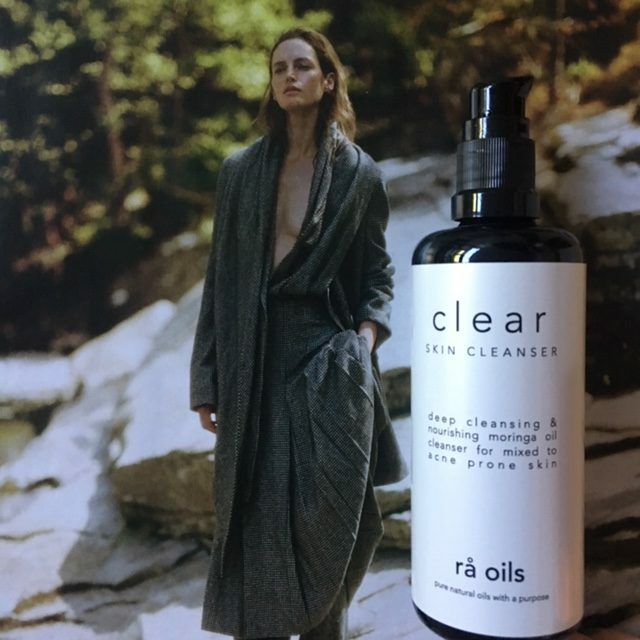 Light-textured, yet thorough on cleansing the skin, especially if you leave in the city, its smells of oranges and has herbal undertones of rosemary, lavender & geranium. This skin cleanser ‘star’ ingredients are oils of Moringa, Baobab and Camellia. Moringa oil is known for its outstanding properties of curing acne. It works wonders in removing black heads and spots from the skin. Baobab oil improves the elasticity of skin while reversing and healing damaged skin. Camellia oil has an outstanding moisture retaining ability. The unique make-up of the oil allows it to penetrate into the deepest layers of the skin, much like water, leaving it smooth and supple. The non-drying and non-clogging oil is rich in mono-saturated essential fatty acids. This oil also contains vitamins, A, B, and E and various minerals. Directions: to cleanse any makeup, dirt & pollution particles from the face and neck, wet your face and hands with warm water and gently massage one or two pumps of oil in circular motions all over. Follow by laying a warm, but not hot, face cloth over your face and press it into the skin, breathing in the uplifting scent. Rinse and repeat, if you need a double cleanse in the evening. 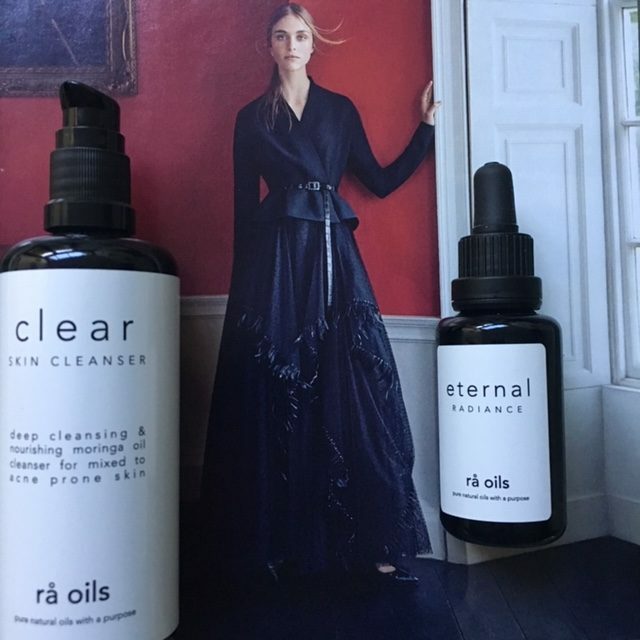 Follow his with a hydrating oil – Ra Oils recommend their Acne Therapy Oil for acne prone skin and their Anti-aging Oil for normal to mixed skin. For skin suffering from psoriasis, eczema or extreme dryness, the brand recommends their Skin Therapy Oil. 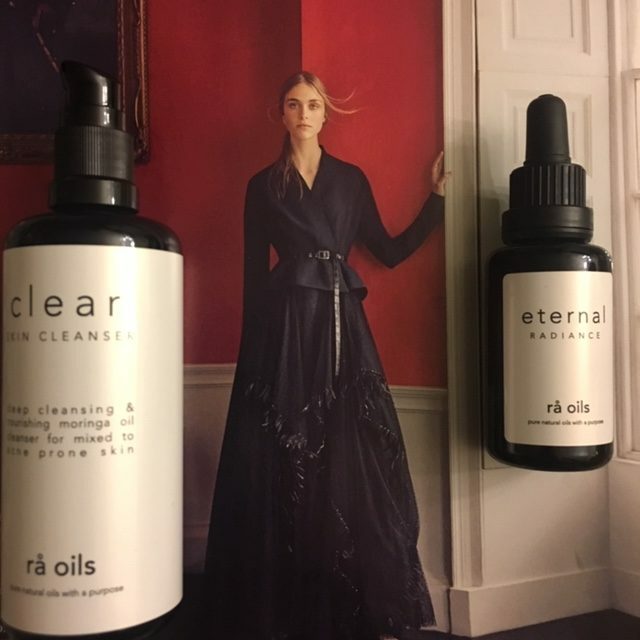 Personally I like applying this oil cleanser to dry skin, massaging it thoroughly all over my face and neck and then applying a warm face cloths to quickly ‘steam’ the skin. I then spray the face with a toner I use at the time and follow it up with a serum and face oil, or just a face oil, depending on what I feel my skin needs on the day. I particularly loved testing this product, from texture and scent, to the softening and nourishing effect it had on my skin, as October gave way to cooler November. This oil has a strong golden colour (see the image below), which can be attributed to its ‘star’ ingredient, the potent rosehip oil. Frida loves this oil, as it helps work wonders on the tired and lacklustre skin. However, because of the intense colour, it might stain white sheets or pillowcase, so it is recommended to apply it thirty minutes or so before bedtime. I tend to do my evening routine when I come home in late afternoon or evening, so never really had this issue, but thought it might be useful to highlight, in case you do your face care routine just before hitting the bed. It is also worth noting that this face oil helps to harmonise and rejuvenate the skin with regular use and is suitable for all skin types. Directions: After cleansing and toning (Ra Oils recommend their Pure Organic Rose Floral Water), gently massage a small amount of Eternal Radiance over your face, neck and chest, in the morning, evening or both. 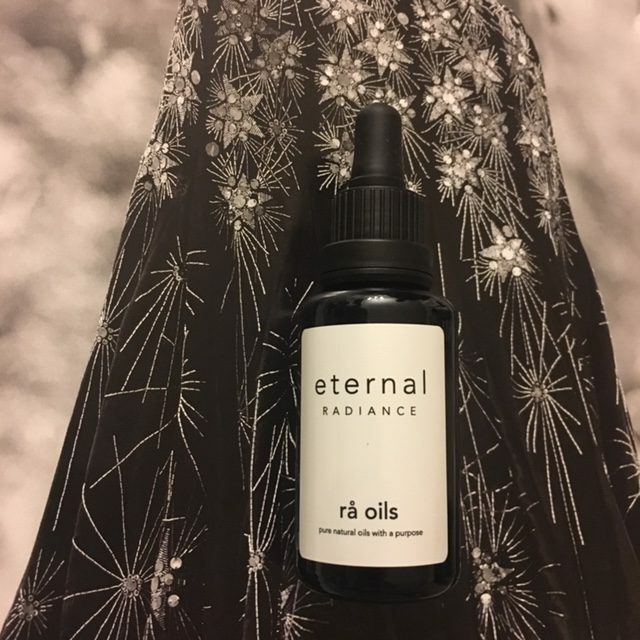 I started using this oil as the weather took the turn for colder temperatures and then got a light cold, so my skin felt a little on the dry side, if I used just the Eternal Radiance Oil after Clear Skin Cleanser. 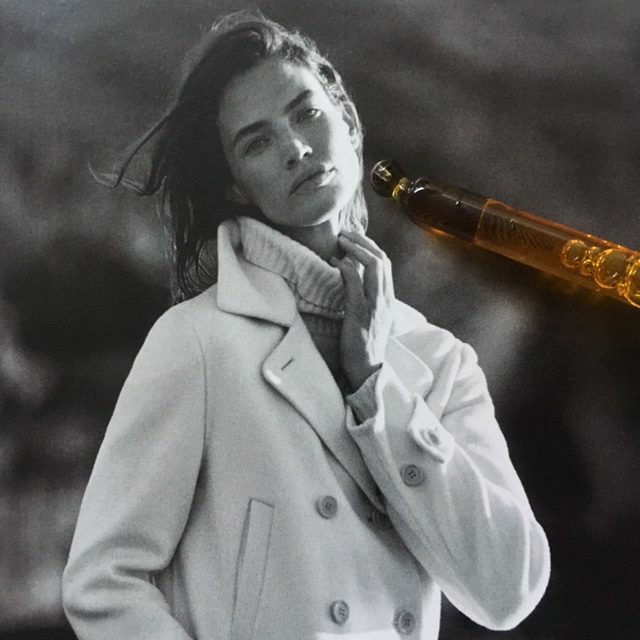 I thought its best to seek Frida’s advice on this and she said that ‘if my skin is feeling extra dry, I tend to add an extra drop of the oil on dry zones and really massage it in for a while to get heat into the skin’. I did end up using a serum from another brand for a week, prior to ER oil, but after a two or three weeks noticed that my skin felt less dry without the added ‘layer’ of serum underneath. As always, things depend on your skin, lifestyle and nutrition, so do pay attention to those aspects and not just the skincare products you use to give you a fuller picture. INCI: *Rosa canina (Rosehip) Fruit Oil, *Oenothera biennis (Evening Primrose) Oil, *Prunus dulcis (Almond) Kernel Oil, Tocopheryl acetate (Vitamin E), **Boswellia carterii (Frankinsence) Oil, ** Commiphora myrrha (Myrrh) Resin Oil, **Pelargonium graveolens (Geranium) Flower Oil, ***Geraniol, ***Linalool, ***Limonene, ***Citronellol.